When we studied the Stations of the Cross on Palm Sunday, we commemorated different events during the last week of Jesus’ ministry. The different versions of the stations honor different things. Many modern traditions included the last supper and resurrection as stations. When did these things take place? The Bible does not tell us, specifically, on which days of the week the last supper or the crucifixion took place. Everyone has an opinion, of course. None of them are significant in our salvation. The important thing to remember is the resurrection—the empty tomb. Jesus rode into Jerusalem on a donkey on a Sunday. That much is stated in scripture. However, from that point, the original Holy Week is a whirlwind. Many argue for a Friday crucifixion, which is why we celebrate Good Friday, based on the fact that Jesus had to be buried before the Sabbath began at sundown. Saturday is the Sabbath, so that would make sense. However, Leviticus 23 calls the weekly Sabbath a Holy Convocation but specifies seven other annual days to be set aside as Holy Convocations (Sabbaths). So, the Bible specifies seven Sabbaths aside from the weekly day of rest. So, is it possible that Jesus was crucified on Wednesday? Yes. Many scholars agree with this premise. Scripture tells us that Jesus would be in the heart of the earth three days and three nights (Matthew 12:40). Friday afternoon to Sunday morning just does not fit no matter how you stretch it. Many try. Consider a different timeline for a bit. 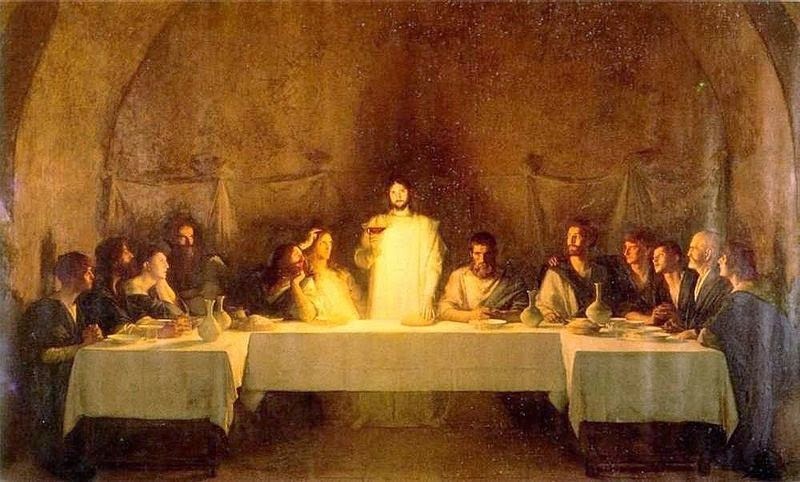 When Jesus and the disciples ate the Last Supper, on the day of preparation in this interpretation, he told Judas to go and do what he had to do. The others assumed that meant for him to buy some things for Passover (John 13:29). They had not eaten the Passover meal at that point, since Jesus was the Passover Lamb from the spiritual perspective. Later that evening, on Tuesday, Jesus was arrested and taken to the Temple where Peter denied knowing him. After that, he was taken to Pilate and the Jews remained outside because Pilate was a gentile and they didn’t want to be considered unclean because they had not eaten Passover (John 18:28-38). On Wednesday, Pilate washed his hands of the situation and agreed to have Jesus killed. Jesus was crucified and died fairly quickly. The people were concerned about burying him before dark because the Sabbath (annual Sabbath) started at sundown. They placed Jesus in the tomb of Joseph of Arimathea to avoid violating the Sabbath. The Feast day, Thursday, began at sundown (days on the Jewish calendar were from sundown to sundown) and so there was no work done on Thursday. On Friday, the women bought spices and supplies to properly prepare Jesus’ body and prepared them. They could not go to the tomb because the Sabbath was to begin at sundown. This was the weekly Sabbath, which was Saturday. So, they rested on Saturday. Do you notice the order of things? The day before was the Sabbath and the next day was also a Sabbath. On Sunday, the women went to the tomb and Jesus was already gone. Sunday began, as I mentioned, at sundown on Saturday, so Jesus could have risen any time between sundown on Saturday, by the way we count days today, to sunrise on Sunday morning and it would have been considered Sunday on the Jewish calendar. That’s the important thing. The tomb was empty! Count the days and nights. Wednesday night, Thursday night, Friday night equals three nights. Thursday, Friday and Saturday equals three days. Three days and three nights, just like scripture specified. Christians shouldn’t argue over any of this. It’s interesting to learn, ponder, and debate in a friendly manner. If you believe in the traditional Friday or if you believe in Wednesday or even another day, it doesn’t matter. The day of the crucifixion is not a deal breaker where salvation is concerned. The important thing in all of Christianity is the resurrection. For believers, it is the most important thing in history. The resurrection is what we, as Christians, have celebrated on Easter ever since the Council of Nicaea set Sunday as the official day in 325 A.D.
Next Next post: What is Good Friday?